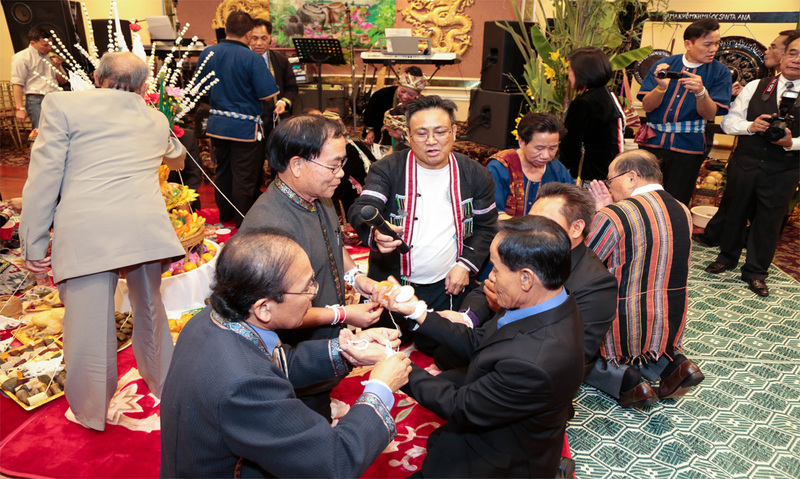 In Southeast Asia, as in some other parts of the world, having a string tied around one’s hand helps ensure good luck and spiritual health. 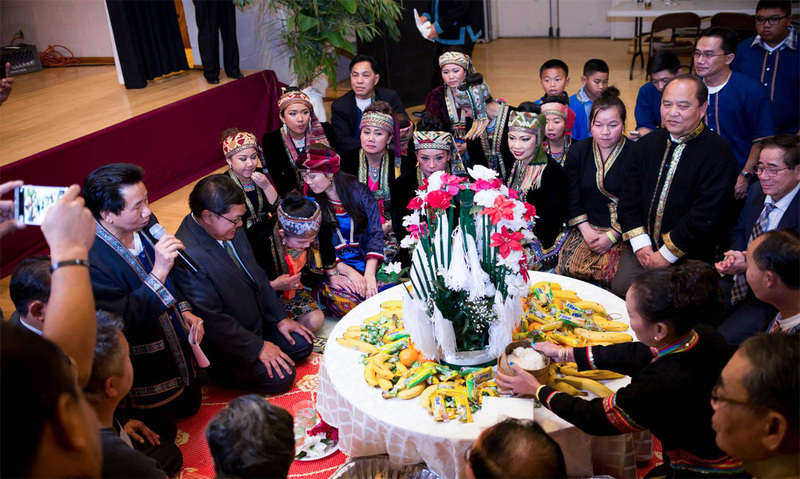 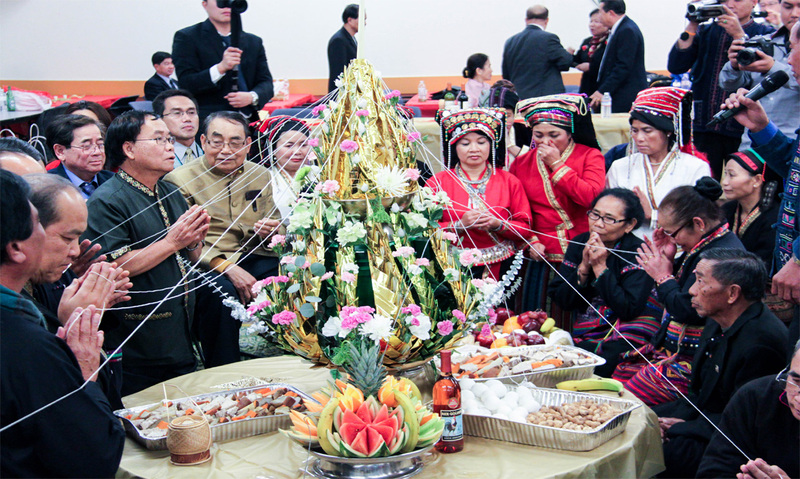 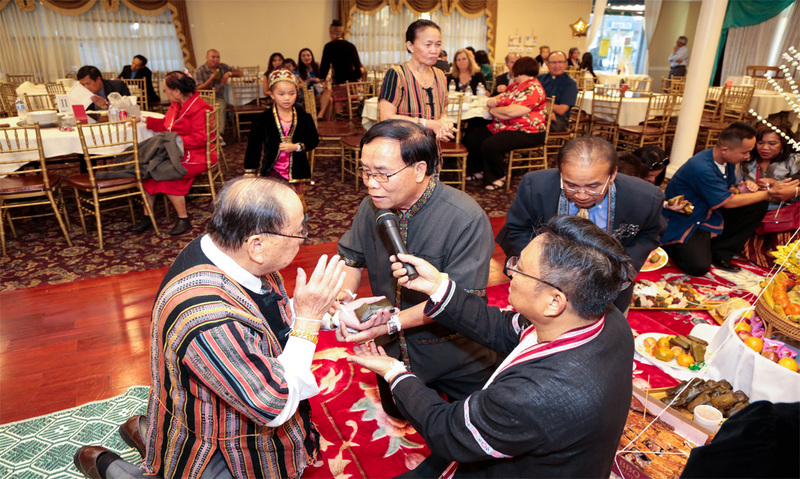 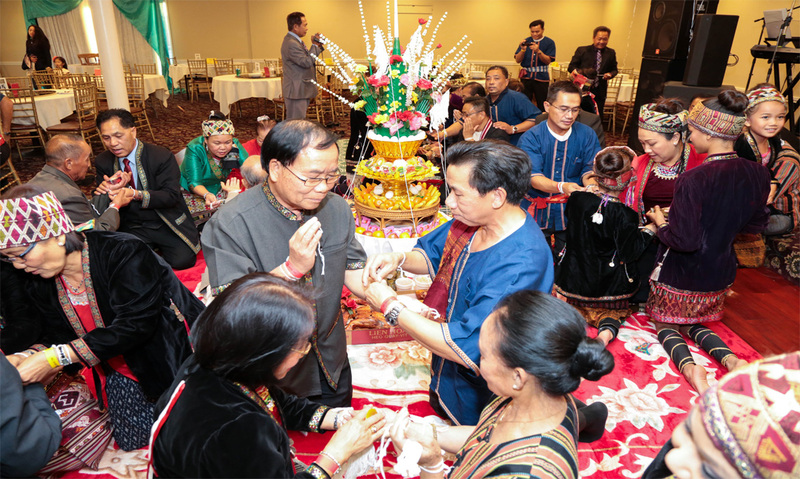 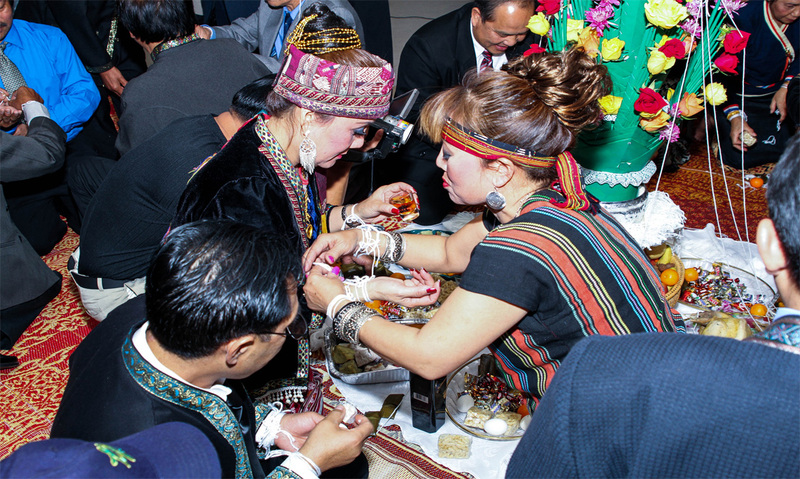 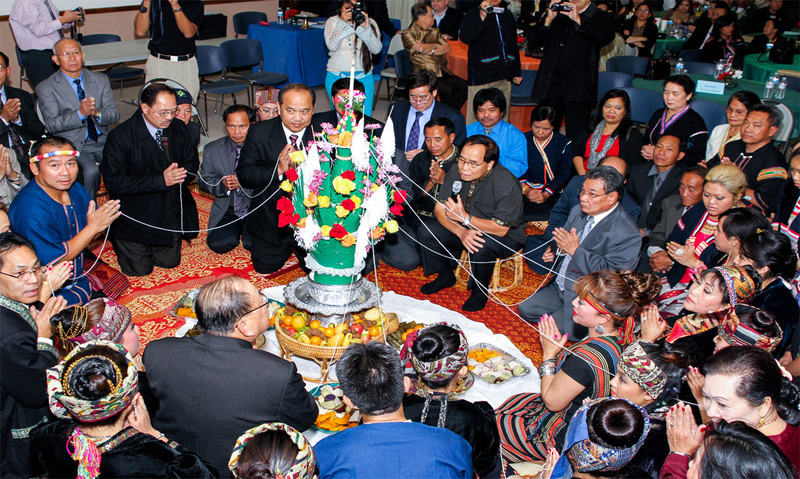 The Khmu’ Tuk Ti’ ceremony is part of many special occasions, including weddings, the New Year, a visit from special guests, the first rain, a successful healing and recovery, and the name-giving ceremony for a month-old baby. 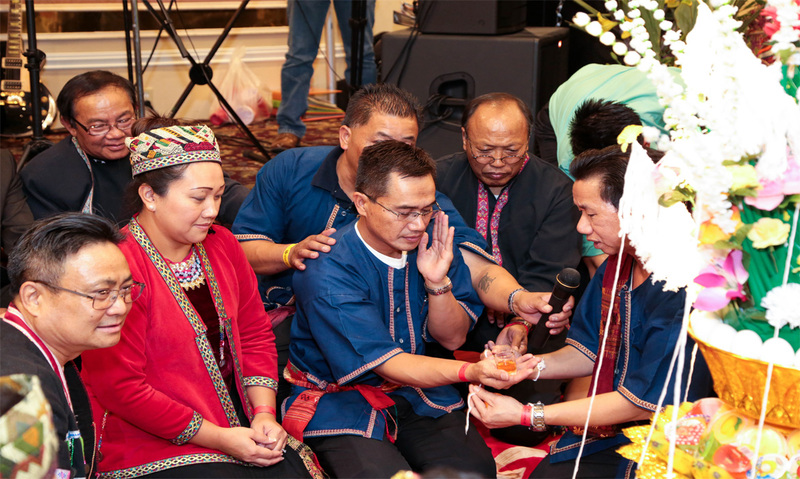 Special blessings are uttered while the honoree’s wrists are being tied with a yarn-typed string, and then the same process is performed on guests attending the ceremony. 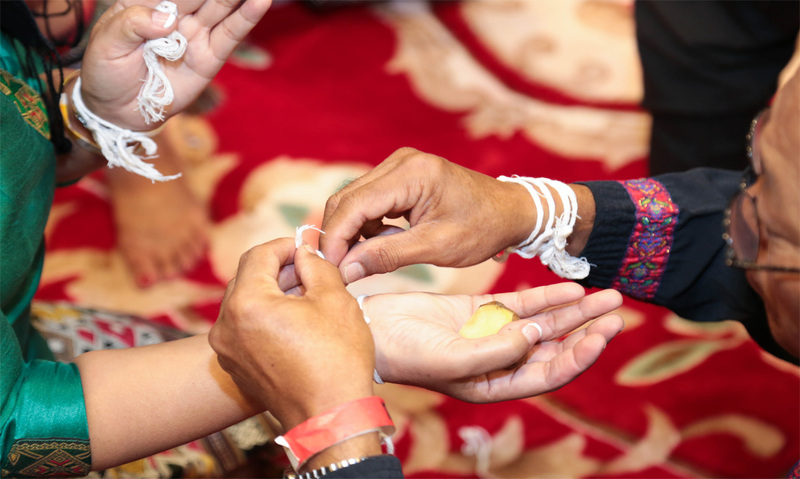 The belief is that the string secures the blessings to the person, binding soul and body together into one. 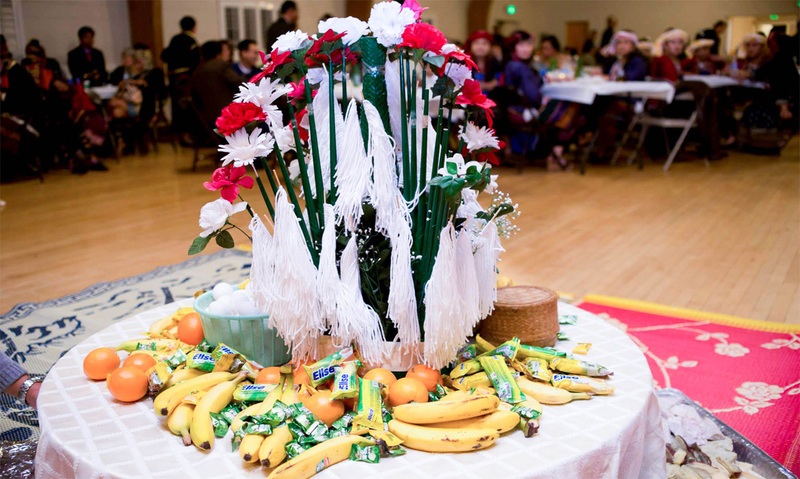 At the New Year celebration or after a tragic event, some Khmu’ will perform theTukti’ ceremony with another good luck ritual called S’khvan. 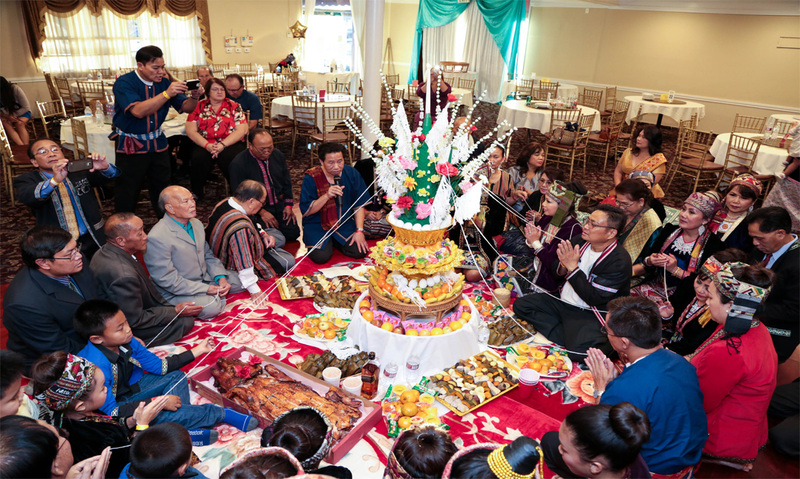 In this event, a few kernels of cooked rice are place atop the honoree’s head while blessings are recited.